In today's competitive world of competition, you can't just rely on hit or miss to find the right kind of sale increasing strategy. Maximising conversion rates is one such popular and trusted strategy among the top successful companies across the world. 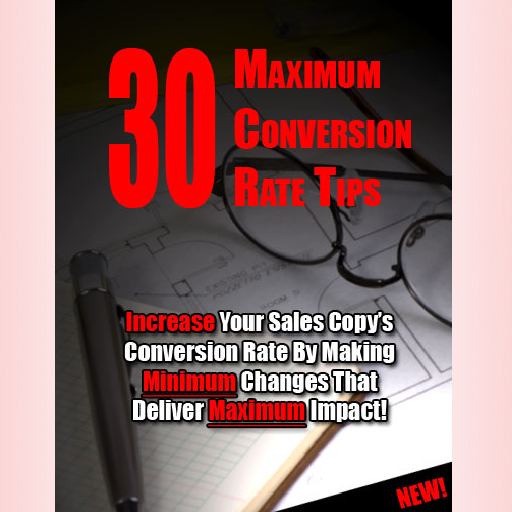 Having a good conversion rate is not just enough to produce more income. For the most effective sales and profits, its important to always keep trying on getting the maximum conversion rate. Its no secret that conversion rate optimization is one primary way to increase your site's revenue. 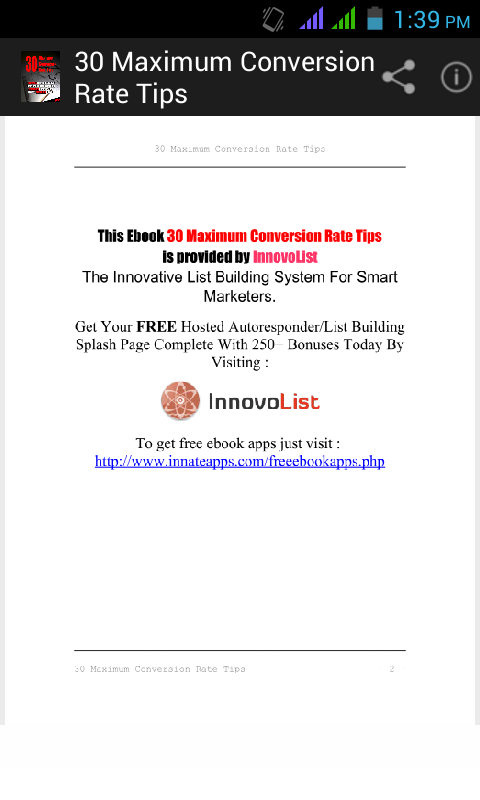 That's the reason why we have developed and launched an app that features 30 maximum conversion rate tips all the way from the best industry experts. These tips are beyond general and actionable steps you can take into consideration to improve your website conversion today. 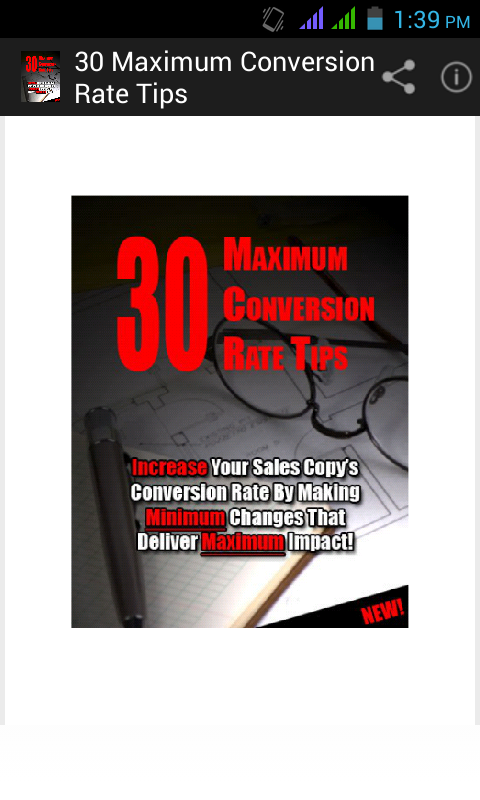 30 maximum conversion rate tips is an ebook app that has now become a part of several webmasters. People are generally afraid of change and prefer to work on a track that has less risk levels which may usually not provide any productivbe results. Therefore, it is highly recommended to follow expert tips that works as a guidance in improving the conversaion rates of your website effectively. If your business is struggling to compete online, its important to have this app in your phones. Visit Google PlayStore or AmazonAppStore to download now for free. 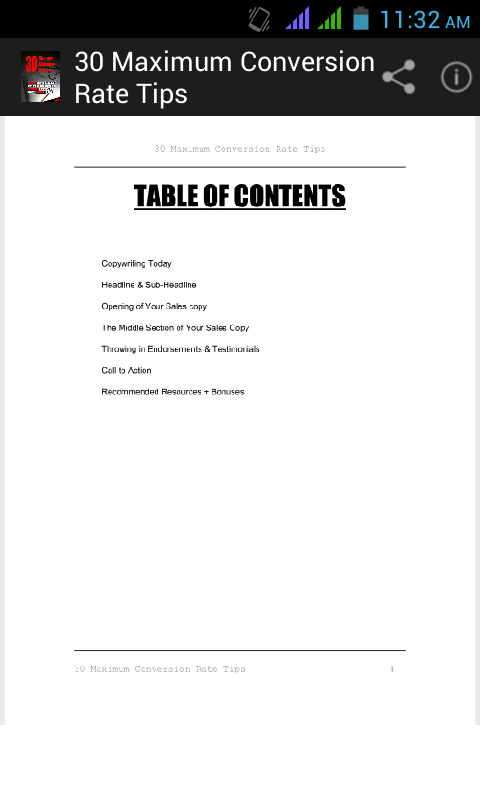 Copywriting Today •	The use of sales letters had been around for as long as direct response marketing have been practiced in the conventional “brick and mortar” world. And it certainly didn’t take long for direct response marketers to carry their offline practice into the online world. 1. Color your headline red. 2. Your headline font must be larger than the standard font used for your sales letter. 3. Imply a benefit or a summary of your offer in the headline. 4. Introduce a character in your headline. 1. Start your copy with a story. 2. Address an important or critical issue. 3. Make safe assumptions about your prospect. 4. Be sure to follow in by mentioning a problem your prospect is facing. 1. Introduce your solution through your product or service. 2. Put all your benefits in bullet form. 3. Give only hints in the benefits, but don’t give the secret away! 4. Stress more on “What’s in it for your prospects” and don’t be too much of yourself. •	Use photos and/or URLs below the names of your testimonies. •	If possible, add audio or video. •	Present the testimonials in a nice yellow-shade box. •	If you have few testimonials, save them for below mid section. •	Avoid using the “until midnight” excuse. •	Press your prospect to act on scarcity reasons. •	Use Fast Action Bonuses. •	Tighten the offer with a long-term guarantee.